A New Record Store opens its doors in Charleston called Record Stop! The days of new Charleston mom & pop shops opening downtown is not over! A quirky new shop is opening on Charleston’s main street called the Record Stop. If you love music of all genres - old vinyl records ranging from David Bowie, Amy Winehouse, The Beatles, Fleetwood Mac, and even Lady GaGa - this place is for you. This shop brings an amazing old school vibe to Charleston’s busy King Street and is appropriately located next to the Charleston Music Hall on 43 John Street. Grab a cup of coffee, or even a beer, and browse their unique selection of records. Record Stop founder Bruce Berg began his career by selling 8-tracks on the side of the road in the early 1970s. In 1974, he opened the first Record Stop in Lake Ronkonkoma, NY with $900 and the vision to establish his business as a reflection of himself. He is passionate about music and enjoyed being a hub for the community. Bruce now works with his son, Jeff Berg and son-in-law Mike Gomez. They own and operate Monostereo Distribution & Record Label Services, working with notable Charleston bands such as Jump Little Children, Stop Light Observations, Atlas Road Crew, Mark Bryan, and more. After relocating to the Holy City in 2015, Bruce Berg had an itch to open a new record store in downtown Charleston. After Bruce and his wife met his partner, Ellie Ivanits, everything fell into place. While you are in there, you might stumble across one of the managing partners of the store, Ellie Ivanits. If you do, ask her to share her story. Ellie's background is in Interior Architecture & Design. She moved to Charleston in 2004 and then moved to New York City to pursue interior design “with just a backpack on my back, and not knowing a soul,” Ellie said. After attending Pratt to earn her Master's degree, she moved to Hawaii. After living in Hawaii she moved back to Charleston to be with her family. "There is a lot of connection between art, design, and music. They are interchangeable. That’s why people have music and art therapy. It really speaks to people, and memory affects your space and life. When people come into the Record Stop, they tell me they are revisiting their memories when they play the old records,” Ellie said. Ellies biggest challenge so far is getting the presence of their shop known downtown. 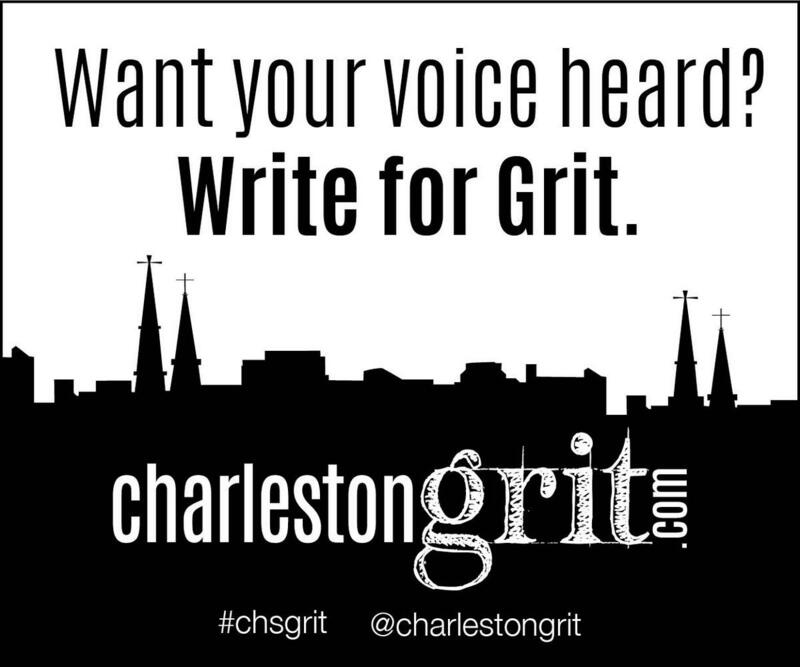 "We are trying to figure out how to brand ourselves in an area of Charleston that has become so corporate. How do you brand yourself as a mom and pop store that people want to see,” Ellie said. Record Stop has a strategic location. They choose this area because they want to be right next to the music hall so they can sell the records of the bands that played there that night. The audience this store appeals to ranges from tourists, locals, and college students alike. "Theres something for everyone. Records are so important for younger people because it’s a tactile experience and it is the one-time we can get away from our phones for 15 minutes and just be in the moment,” Ellie said. Ellie has had some wonderful experiences so far while running this shop. “When the bands from Music Hall come into the store, they have been super nice and generous. The lead singers of Collective Soul and Psychedelic Furs have come in the store and browsed the records,” Ellie said. They consider their customers family and have quickly amassed a supportive, local following. It is not uncommon for the duo to find rare, almost unattainable vinyl within days of requests. They enjoy bringing smiles to people’s faces. But most importantly, they love helping people relive their musical memories and that’s what it’s all about. "Bruce and I want to make the identity of this place really warm, clean, inviting, and extra friendly. We want it to be a cultural hangout that people can come to get back to what they love and old music,” Ellie said. Record Stop even has a thing called “Saturday Sofa Sesh” where they take pictures of people who visit their store on this big funky, old-school sofa. Right now, they are currently running a special deal. They are giving away free, uniquely designed record players if you buy six records! ($20 each) Record Stop is located next to Paolo’s Gelato and is steps away from the Charleston Music Hall. You can find thousands of new and used records, CDs, turntables, books, and more! Some of these records are even straight from Bruce Bergs own personal collection. Go check it out!